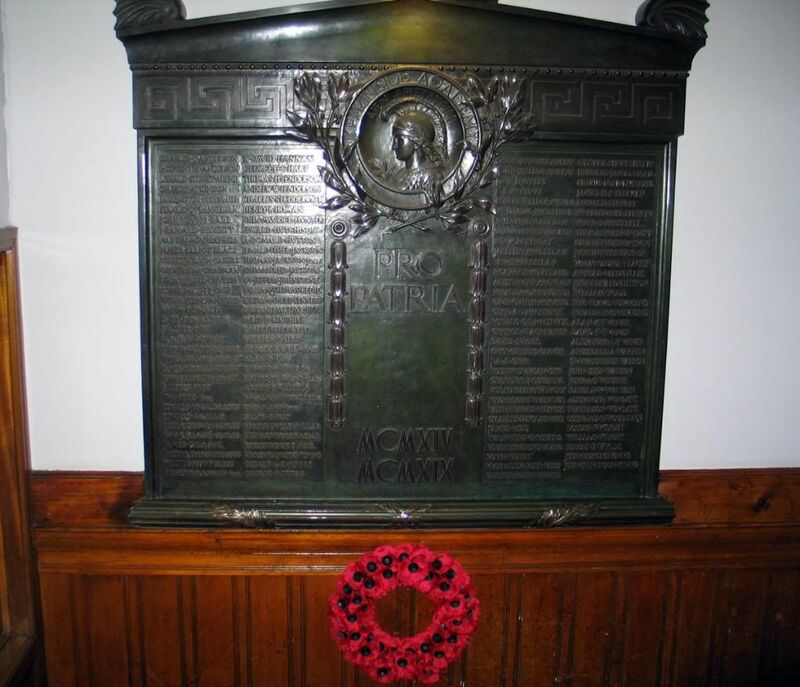 The Academy was opened in 1878 by the Kelvinside Academy Company Ltd. After the First World War, as a memorial to former pupils who had been killed in action, The Kelvinside Academy War Memorial Trust was formed and the assets of the Company were acquired by the Trust. Having formerly been grant-aided, the school became fully independent in 1985 and co-educational in 1998. 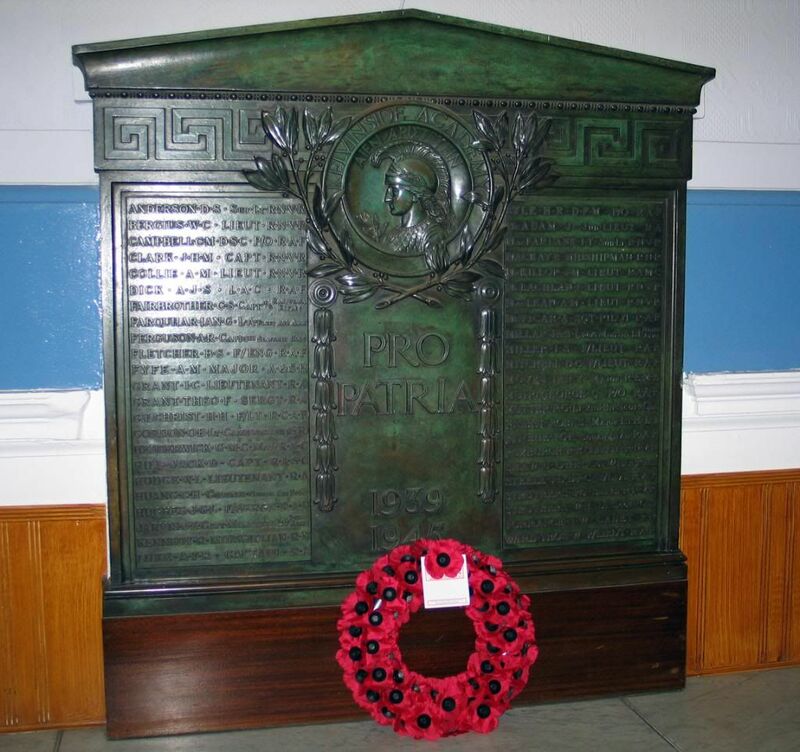 Kelvinside Academy WW1 Memorial is situated inthe main corridor. The additional information was taken from the school War Record Book. Kelvinside Academy WW2 Memorial is situated on the half landing of the main stairway. I would like to thank Elaine Solman, Development Manager, for allowing me access to the school and for providing me with all the additional material. Also listed upon the Bridge of Allan memorial. Kilwinning Officer Killed - Lieutenant Thos. Jackson, 5th Royal Scots Fusiliers, was killed in action at the Dardanelles on July 12. 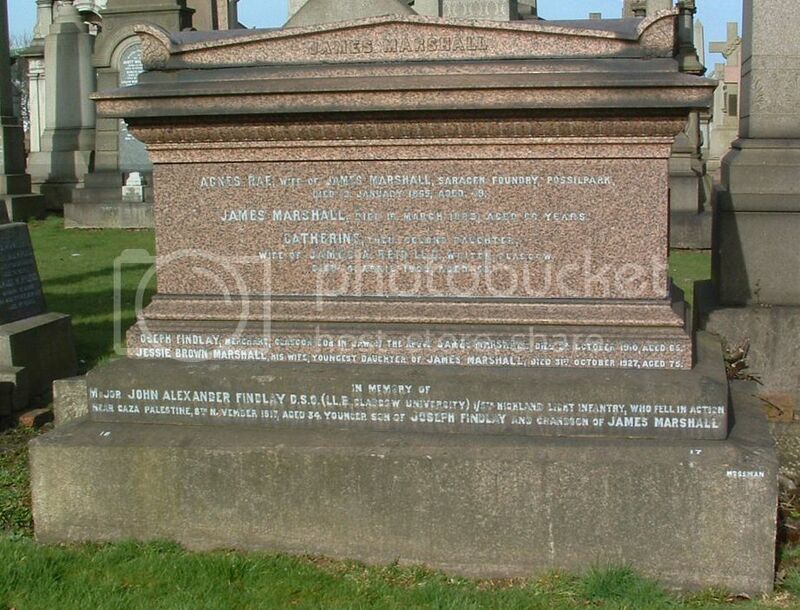 He was the eldest son of Mr Thomas Jackson, 24 George Square, Glasgow, and of Smithstone, Kilwinning, and was a partner of the well-known firm of chartered accountants, Messrs Thomson, Jackson, Gourlay and Taylor. 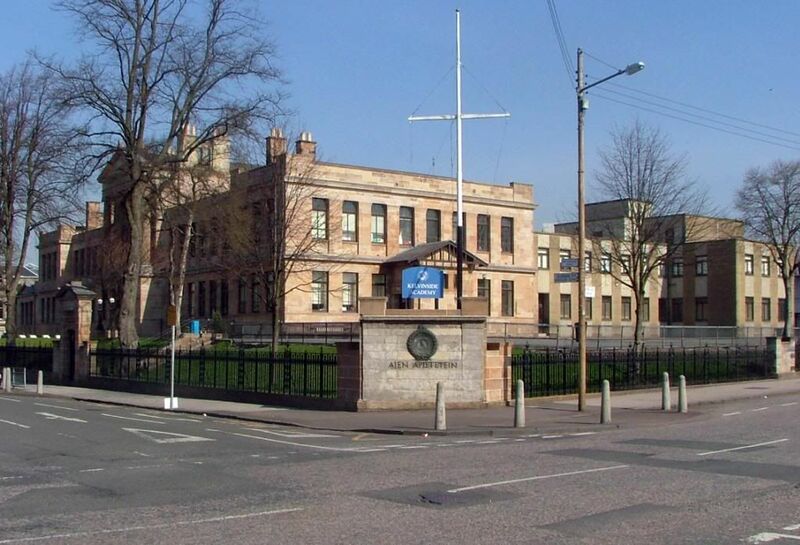 Educated at Kelvinside Academy, Lieutenant Jackson received his early military training in the Cadet Corps of that school which was the first Scottish day school to found such a corps. For some time after he left school Lieutenant Jackson was a member of the 1st Lanark Rifle Volunteers. When the war broke out he was a captain in the Ayrshire National Reserve, and was also a commissioner for the Northern District Boy Scouts(Ayrshire). He subsequently joined the Army for active service, receiving a commission in the 5th Royal Scots Fusiliers, with whom he was in training at Ayr and Cambusbarron before going to the Dardanelles about the end of May. Leiutenant Jackson, who was 34 years of age, was a popular member of Kelvinside Academical Club, and was also a director of the Night Asylum for the Houseless." Son of Robert Peel Lamond & Isabella (nee Japp) Lamond. I note there are twelve RN / RNR / RNVR and twelve RAF / RCAF men listed in the Second World War list. Robert Mackay is listed as a Petty Officer, H.M. Boom Defence Vessel "Caliban" in the CWGC database. He is also listed on the Thurso War Memorial. I've had a look in the CWGC database and there are no obvious entries which match these details. Interesting to note that the family thought he was killed at Gallipoli. The CWGC have him listed on the Le Touret memorial but have today confirmed that a mistake has been made and he was killed at Gallipoli. Listed on Kelvinside Academy ‘School War Record Book’:[/i] Findlay, John Alexander, Major, Highland Light Infantry. Additional Information: Son of John and Margaret Woodburn Gemmell, of The Ewart, Newton Stewart, Wigtownshire. Wigtownshire Free Press (3/5/1917): Second Lieutenant Cecil Woodburn Gemmell, who was killed in action on the 24th April, was the second son of Mr John Woodburn Gemmell, rector of the Ewart High School, Newton Stewart. He was educated at Kelivinside Academy, Glasgow and at the Ewart, and was in the last year of an apprenticeship to Messrs McClelland, Ker & Co, CA, Glasgow, when, in January 1916, he was admitted to the Inns of Court Training Corps. After a course at Lincoln's Inn, and waith a Cadel Battalion at Gailes, he received a commission in the Scottish Rifles in July last, and proceeded to France in October to join the battalion to which he had been attached. His two brothers are serving - one as a surgeon in the Navy, and the other as a subaltern in the Indian Army in Mesopotamia. Also named on Penninghame War Memorial, Newton Stewart, and the Ewart School memorial. Johnstone, William Jeffray - Lieutenant, Fife & Forfar Yeomanry, 28/12/1917. LIEUT. WILLIAM J. JOHNSTONE, M.C. FIFE & FORFAR YEOMANRY. William Jeffray Johnstone, Military Cross – age 20 – Lieutenant, Fife and Forfar Yeomanry. William was educated at Kelvinside Academy in Glasgow and at Fettes College in Edinburgh before he began his studies at Glasgow University. He was a member of the Officer Training Corps at all three locations and was commissioned in November 1915. He went to Egypt in February 1917 was promoted to Lieutenant in July and awarded a M.C. “For conspicuous gallantry and devotion to duty. He led his company with great dash and determination in an attack when his company commander became a casualty and set a splendid example of leadership and resource”. Born 1897 in Kelvinside, Partick, Glasgow. Son of William and Mary Lockhart (Jeffray) Johnstone of Allanhill. St Andrews, Fife, of Cowhill Tower, Amisficld. Tinwald and of Cardowan House, Stepps. near Glasgow. Died of Wounds on 28 December 1917 and buried in Jerusalem War Cemetery, Israel. Also named on the Kelvinside Academy and Fettes College memorials, on the Glasgow University Roll of Honour and on the Stepps War Memorial.